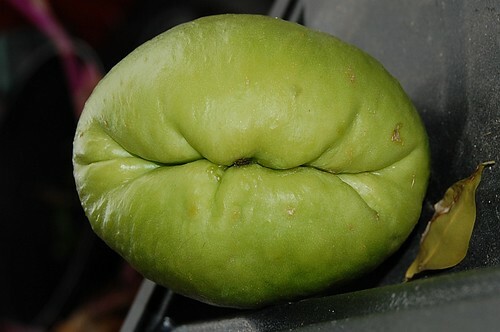 The Christophine, chayote or mirliton to give it but three of its names is a Caribbean vegetable that excites the same sort of responses that Marmite does. 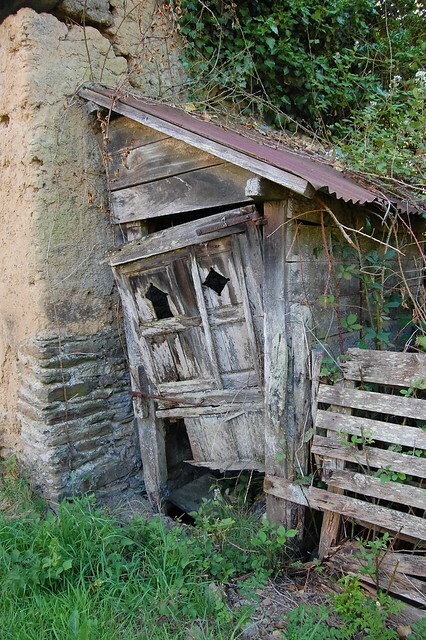 In the Deep South of America they have become embedded into Cajun and Creole cuisine as inextricable essentials loved by all, in Australia they are despised as the Dunny Vine and considered a food of last resort or a prime con artists material for imitating more valuable fruits. For the heritage varieties of Louisiana there is an excellent site at mirlitons.org which is full of advice, recipes and pictures of interesting traditional selections. Unfortunately, the advice is suited to a warmer climate than Northern Europe but the love and enthusiasm shines through and it's a good resource for general information. I've been unable to locate an equivalent Australian site. I'm not sure where my Sechium edule specimen above originated but it was bought in a shop with many vegetables from the Indian sub-continent so it's probably from somewhere over there. With luck it will sprout from that rather forbidding closed end and make an interesting climbing vine with the possibility of more fruit at the end of the year but mostly I'm just growing it for amusement. The Old Foodie has a recipe for Choko which seems appropriate for today. Marcia Bonta writes a nature article a month and this one is about frog spawn in a vernal pond. I found Cathy Ashley via Emma's blog and stopped to comment on a link to a book of whacky recipes for making dye and so on but this article on changes to the tax credit system will be of interest to anyone running a low income business.